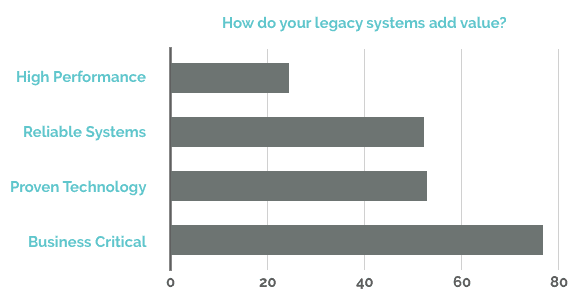 How do you feel about your business’s legacy systems? Is it a big weight you’re dragging around? Or the faithful old steam engine driving your processes? Talk to enough executives and you might notice a strange pattern: everybody would ideally replace their legacy systems, but they can’t help getting just a little bit sentimental about them too. 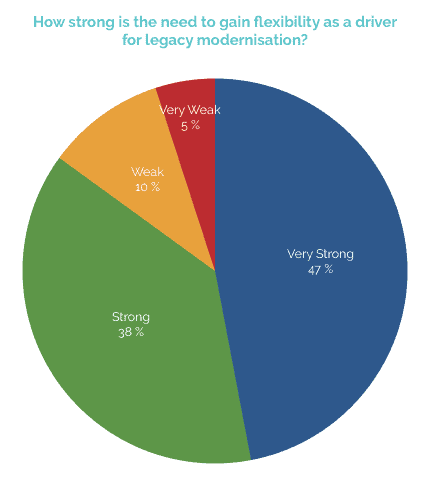 Whether sentimental or not, senior decision makers often feel that their legacy systems are holding them back. When Vanson Bourne surveyed Senior IT staff in 2015, they discovered that 90% felt older systems were the biggest obstacle to innovation. So what’s new? A lot of legacy systems that are outdated now were already outdated ten years ago – just ask the banking sector. Well actually, a lot is new. We’re in a period offering opportunities to adapt and improve business technology like never before. But when your company is locked into a decades-long relationship with a system, those opportunities can seem out of reach. So why are these systems still in place? Well, as the above research makes pretty clear, it’s not the performance that they offer. The main asset keeping legacy systems in place is that companies don’t know how to get rid of them. So, scrap it all and start again? It’s an option – but good luck selling that idea at the next board meeting. No, business leaders will need to be more creative than that to keep up with the demands placed on their department. Meanwhile, basic technical operations can grow so complex that day-to-day maintenance devours ever more of the IT budget. The bigger the organisation the worse this gets. A goliath like the US Government isn’t immune to this effect: in 2016 the US accountability office reported that over 5,000 of its almost 7,000 IT projects’ systems were sinking all of their funds into operations and maintenance, as a direct result of outdated technology. But we see the same thing happening even in organisations with just a few hundred or a few thousand employees. For many businesses, a new approach means beginning or furthering the adoption of cloud computing. Forrester reported in 2016 that 38% of North American and European businesses were building private clouds, with another 32% starting to access public cloud resources. However, when the various systems these businesses employ aren’t integrated, they’re trading one complication for another. A lack of customisability in off-the-shelf products means operating on a basis of ‘closest fit to needs’, while basic processes continue to demand high levels of management. These are far from the only issues. Aside from integration, the need for very large (and often very risky) data migrations expose users to the hazards of losing vital customer data entirely. Research from Gartner has shown that 83% of data migration projects either fail, or else run over on time or cost. So it’s all bad news then? So what businesses need is cloud computing functionality which doesn’t require scrapping existing infrastructure. This, of course, is exactly what babelforce can provide. Our integration micro-services give you an out-of-the-box API that connects your internal systems to one another and to the public cloud. Sounds good; what does it mean? 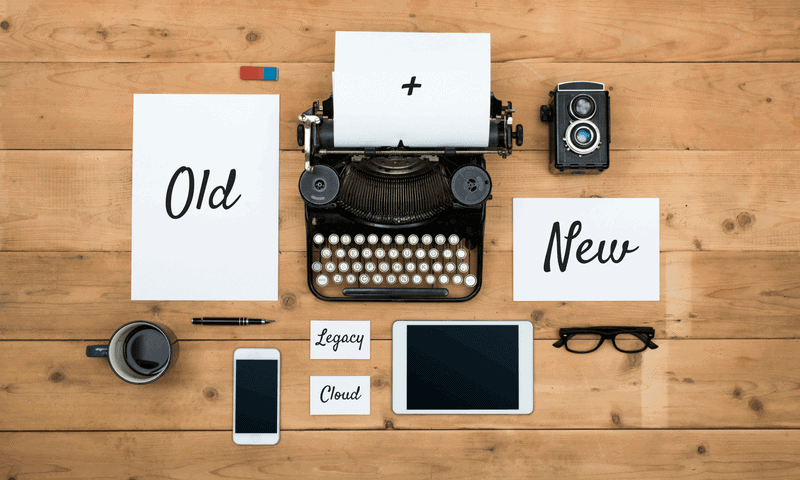 Simply put, it means that the up-to-date tools and functionality you want from cloud computing can interact with the legacy systems you’re already using. Think of the APIs as the universal translator that fosters collaboration between the tools you have, and the tools you’re going to get. At babelforce, we see this as the best case scenario. Why worry about the business case for ripping out a deeply embedded system when you can supplement that system with the tools it needs? Unsurprisingly, the data show that among 85% of businesses, increased adaptability is a key motivation for systems investment. What about the issue of data migration? Surely that’s a non-starter? Well actually, we do have a pretty clever solution to that problem. We don’t migrate your data. Really, you can keep it. Our standard API actions perform lookups in your database, so our approach is just-in-time and need-to-know. Your data goes where it’s needed, when it’s needed, and we only hold on to whatever is essential to run your processes. On top of that our simple, no-code building blocks mean that any member of your team can create and improve complex business processes. With no coding experience required, you can make any workflow that you can conceptualise, in days or even hours. Think of the many niggling inefficiencies in your daily processes – every business has them. They’re irritating, they waste time every day, but fixing them never quite tops the list for new IT projects. Now imagine that you could fix them yourself, easily, this afternoon. That’s what no-code automation means for the businesses babelforce works alongside. So: Customizable processes? Check. Data security? Check. Legacy intact? Check. If you’re looking for a way to make innovation a priority, without going back to the drawing board, get in touch with babelforce now.